With GM having issued a third recall for gaskets that can cause oil leaks and fires, here’s what vehicle owners should know, a Denver car accident lawyer explains. Yesterday, General Motors (GM) issued a recall for about 1.4 million vehicles due to a faulty valve cover gasket that can leak and cause vehicle fires. This is reportedly the third time GM has issued the same recall within seven years, as the remedies carried out during the first two recalls have not worked. In fact, GM has reportedly received more than 1,300 reports regarding vehicles catching fire after having received the “fix” from dealers in either or both of first two recalls. The valve cover gaskets at the center of this recall can reportedly degrade and cause oil leaks. When these leaks result in oil spilling onto the exhaust manifold (due to, for instance, hard braking), fires can start, and they can easily spread to spark plug channels and the rest of the engine. Investigations conducted by federal regulators at the National Highway Traffic Safety Administration (NHTSA) have revealed that most of the reported fires occurred within 15 minutes of vehicles being turned off. According to GM, to date, the company has received reports regarding these leaking gaskets causing nearly 270 vehicle fires and burning nearly 20 structures. Chevrolet Lumina & Oldsmobile Intrigue vehicles (1998 & 1999). GM has yet to come up with a remedy, though they are reportedly working on it. In prior recalls, GM had warned vehicle owners to keep their vehicles parked outside of enclosures until they had received the recall fix. 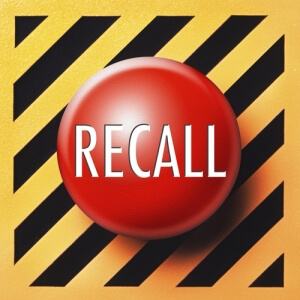 It is unclear at this time if GM is making the same recommendation as part of this recall. If you have been injured in an accident caused by defective vehicle equipment, you can turn to a Denver car accident lawyer at Bell & Pollock, P.C. for experienced help advocating your rights and pursuing justice.